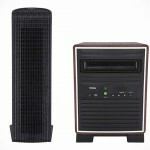 Modern air purifiers are as sophisticated as they are cold. While they work (mostly), it didn’t help that you are introducing yet another cold gadget into your home. 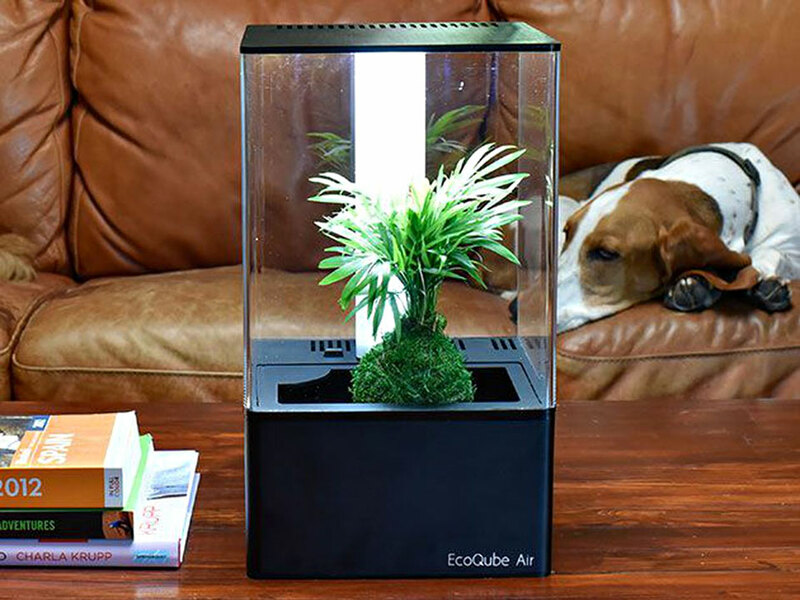 This is where this alternative air purifier called EcoQube Air comes in. 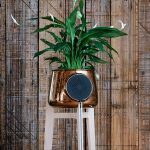 Developed by Aqua Design Innovations (ADI), EcoQube Air combines modern air purifying technology and Mother Nature’s wonder to provide a unique way of air purification. The former is by the way of a 3-step air filtration process that removes dust and mold, while the latter is a plant that oxygenate the air. 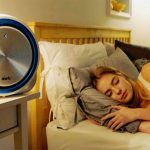 So, yeah, in a way, this air purifier is a tad better than traditional air purifiers because, it actually oxygenate the air too. 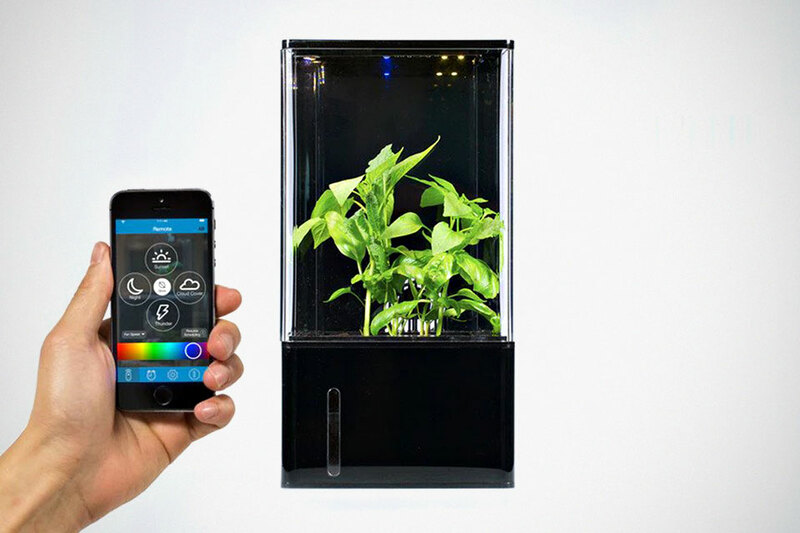 In addition to providing healthy air, EcoQube Air’s full spectrum smart LED light not only offers the plants with optimal amount light, but it can also help to alleviate user’s insomnia, if any, by adjusting your circadian rhythm. I believe, therapeutic is what this little indoor greenhouse is. That’s not mention that a little greenhouse will provide the much needed warm, natural green and beauty to any home. And did we mention it is almost maintenance free? 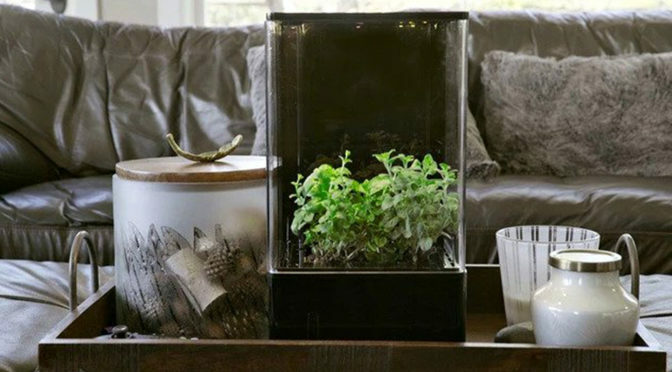 Moreover, it is a hydroponic setup and therefore, there’s no watering required. 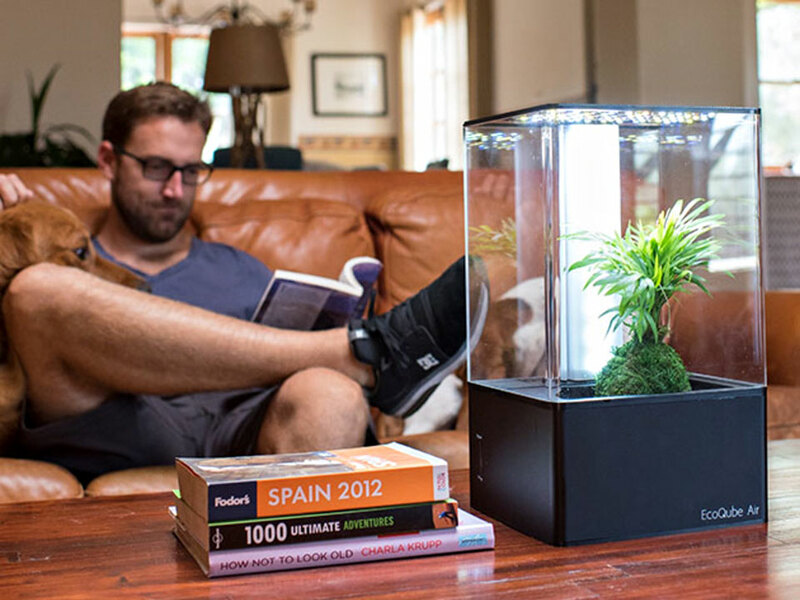 Each unit includes a water reservoir and super quiet induction pump and features dual fans to circulate 450 cubic feet of purified air, customizable super bright LEDs, a space for up to 12 plants to be grown, mobile app-enabled, built-in UV filter to kill harmful microbes and discourage algae growth, and fogger to, well, to improve plant growth and the air quality. EcoQube Air Desktop Hydroponic Greenhouse was a successfully crowdfunded on Kickstarter and Indiegogo back in 2016, and it is now available to order for $199.99. 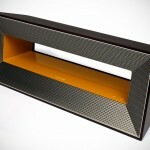 Oddly, though, JoyUs is selling it at 20 dollars less on its website, going at $179.99. However, do not that the discounted price is without the premium UV filter. If want the UV filter thingy, you are looking at $279.99.